We know the World Cup is over, but we couldn’t resist a last mention – to blow our own trumpet! During the tournament AIPIA hosted three major Active & Intelligent Packaging events, one in the USA and two in Asia. The AIPIA Summit of the Americas, co-organized with BXP magazine – was our first venture into the USA and attracted more than 170 delegates to New Jersey in early June. The focus was on Disruptive Technologies for the new Packaging Age with an emphasis on how Brand Owners can benefit from direct Brand-to-Consumer marketing, Security, Supply Chain and Digital Identities as well as opportunities to Reduce Waste and improve Condition Monitoring. Proceedings kicked off with a keynote by Tod Szewczyk, director of Emerging Technology and Innovation at Leo Burnett. His talk on ‘How the attention economy creates demand for connected packaging’ set the scene for the following two days of activities. Several case studies were revealed, including exciting projects from the Absolut Company, (Malibu – creating the consumer experience of the future) and Paulig, in conjunction with Raflatac, to show how the Internet of Packaging brought the retail shelf to life and lured Gen Z to come out and play. Given traditional packaging industry equipment is not designed for printed electronics, how can you scale up on existing machines? Pharmaceutical pack makers Jones Packaging discussed their five-year journey with Thinfilm Electronics to show how they are able to provide two different technologies that can run at high speed for mass production, using only ‘slightly modified’ machines. The Summit’s emphasis was firmly on Brand’s awareness of the potential for A&IP and leading exponents, such as ArjoWiggins, Cambridge Design consultants, Digimarc, EVRYTHNG, Insignia, PragmatIC, Talkin’ things, Temptime and Zappar clearly hit the target! Watch this space for news of next year’s event. In Bangkok AIPIA had its first formal event during the ProPak Asia show. Five speakers, including EVRYTHNG (digital product identites) HP Indigo (digital printing technologies) Alpha Assembly (printed Electronics) ScanTrust (secure supply chains) and a local Thai-based company Silicon Craft Technologies (anti-counterfieting and customer engagement) attracted a high quality audience of well over 100 – confirming the levels of interest in A&IP in this part of Asia is HIGH! As the World Cup ended AIPIA, in conjunction with our Chinese partners Prime Consulting, staged its biggest ever Summit in Shanghai, with eight speakers under the theme ‘Creating New Opportunities and Solutions’. This included a reprise of HP Indigo’s truly awesome potential to create next generation packs featuring A&IP for security, decoration and ant-counterfeiting – often incorporating several features on one pack. In addition Gary Tingjie Li, a research scientis with FP Innovations in Canada revealed a truly groundbreaking printed electronics solution for a paper based substrate. More on this soon! With other speakers from EVRYTHNG, Alpha Assembly, Advance Track & Trace, Stora Enso and the Japanese Food Packaging Association (FOOMA) there was something for everyone in the 150 delegate audience. 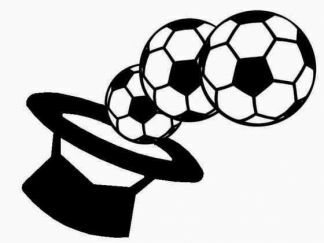 So we claim a well earned Hat-Trick and look forward to next year’s events with relish…!